Eight decades after George Orwell was wounded by a fascist bullet while defending a Spanish Republican trench, his son Richard is attempting to save the Civil War-era fortifications. After visiting the trenches in which his socialist father fought fascism, Richard Blair is calling for the Spanish government to rescind policies that have seen them fall into disrepair, and instead preserve them for posterity. Orwell, whose real name was Eric Blair, was wounded in the neck in these trenches during Spain’s vicious civil war. He eventually made his way out of the country as an internal battle between Stalinists and revolutionary socialists raged. Amidst the violent purge by Moscow-backed communists, Orwell lost his notes. They now reside in a Kremlin-based museum. 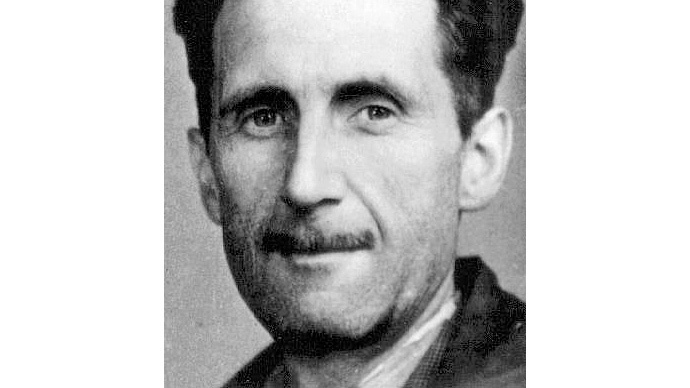 Orwell eventually wrote his famous account of the period, “Homage to Catalonia,” from memory. His experiences made him a staunch opponent of Stalinism, helping to inform another of his most famous works, the socialist fable “Animal Farm” that indirectly praised Stalin’s adversary, Leon Trotsky. Orwell’s son thinks that maintenance of the trenches has fallen foul of an ongoing political battle between right-wingers and history itself, given that the center-right Spanish Popular Party froze funding after winning a regional election in 2011. The trenches had been given funding by a previous left-of-center Spanish government to maintain the legacy of the war, which split the country between 1936 and 1939. They remain a controversial political topic to this day. On Tuesday, Richard Blair said the Spanish public deserves transparency on the matter. He insisted that funding for preserving the trenches had been cut as part of an effort to obliterate the memory of a troubled chapter in Spain’s recent history. “I think the Spanish people deserve to understand what really happened between the 1930s to the death of Franco in 1975,” he told The Times.